Selling your crocheted items can seem daunting at first but it needn’t be. 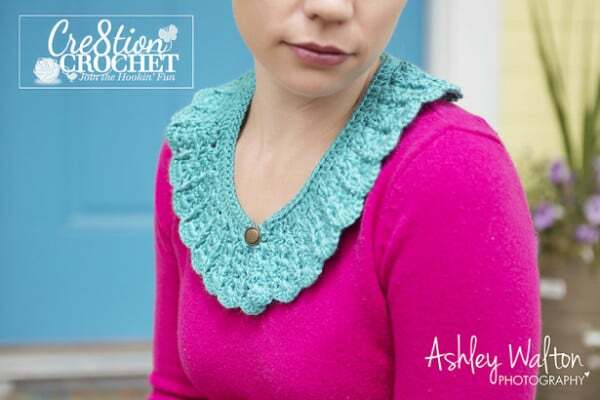 There are a lot of different venues for a crafter or crocheter to sell their finished items. You can open an online shop, sell at craft fairs, utilize friends and family, trunk shows and even sell at flea markets. Another avenue not usually explored is selling in brick and mortar stores, specifically boutiques. Boutiques have their perks and their downfalls. You won’t have to be present to do the actual selling nor will you have to interact with the customers but you will not get as much of the profits either. Boutiques typically pay sellers a commission. What that will be will depend on the store, and it can be negotiated. First you need to decide where you would like to sell. Think big. Don’t be afraid to ask. The worst that could happen is that the owner could say they are not interested. Even if they are not, you can ask them for some feedback as to why. Maybe they just don’t sell handcrafted items in their store, or they already have a vendor with the same items. If it is because they do not like your particular work, they may have some feedback for you that will help you improve. Boutiques are not the only option. You can sell your items in consignment shops, second hand stores, gift shops, book stores, cafes, the list goes on. Sometimes antique stores even feature handcrafted items. Make a list of those places that interest you. Start with one area or section of town and rate the stores where you would like to sell, most to least. Many retail stores do not want to sell the same items as other local outlets. They often want exclusive items. You can use exclusivity as a bargaining tool when you discuss commission or placement of your stock. Make sure you are honest with your retailers. These are important relationships you are forming. You don’t want to damage them by being less than honest. You may also decide not to sell in certain stores because of the items they currently carry. 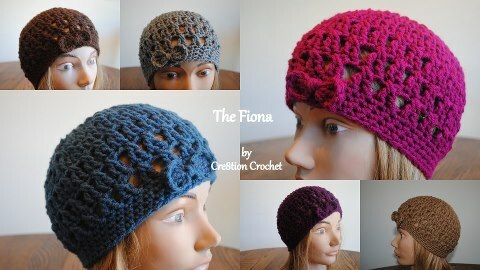 If they are already selling crocheted hats, then it is probably not the place to sell your crocheted hats. The only exception would be if your work is quite different and/or a much higher quality and different price point. Price is another feature to consider when deciding where you would like to sell your crafts. I recommend boutiques because they typically can sell for higher than a consignment shop could. Research the stores first. What I did when I was first starting out was to keep my “selling kit” in my car while I walked around the local shops. I would take a look at what they were selling, prices, and the overall feel of the store. If all of those things meshed with myself and my items, I would approach the clerk. Most times the owner of the boutique is also the person behind the desk. I would ask to speak with the owner and let them know who I was and what I was selling. I would ask them if they were interested in seeing my work or if it would be more convenient for them to schedule an appointment. You want to sound confident and not provide them with the opportunity to say no before they have gotten the chance to at least review your items. You can also call ahead, though I personally feel that this provides the retailer more of a chance to say no without viewing your work. • Dress well and be neat. It is also helpful if you can wear some item (jewelry, scarf, brooch, etc) that you have made (this is a handy tip for selling your work in general. I always wear my own items, everywhere I go). Remember, you are selling yourself as well as your product. • Be prepared- have your items nearby and ready to show if the owner is available and would like to meet with you now. Also be prepared to answer questions the store owner might ask you (see info on my press sheet below). • Have business cards, or a small selling kit to leave behind if the owner is not currently available. My selling kit contains a few good pictures of my items, a few sample items so that the owner can see the quality of my work in person, and a business card with my name, phone number and website address. I also have a press sheet that I leave behind. 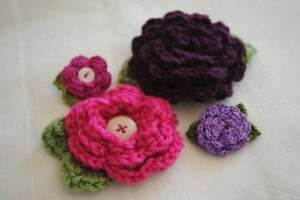 It tells a little about myself and my business, how long I have been crocheting and the items I make. It includes my retailing polices, such as my return policy and what my commission rates are. *Not all stores have the same commission rates. Some are willing to negotiate those rates, usually based on exclusivity. You can choose how you want to handle commissions. I used to let the store dictate the rates. But now that I sell in a few stores and I don’t “need” to pick up more, I am much more picky about whom I sell to. I have a rate that I accept (my rate varies with if the store wants to be exclusive or not). If the store is not willing to pay the rate I want, then I move on to the next store that is. • Some stores will purchase your items outright rather than pay commissions. Always have a number in mind as to what you need for each particular item. Other stores may want to know how much you would like for an item and then sell that item above and beyond what you need for their profit margin. All of these things can be negotiated but be prepared with numbers in mind before you go on the hunt for retail shops. • Some boutiques will rent you space or charge you a fee to sell in their store instead. They may provide you with a booth for a monthly rental fee or they may ask for a certain percentage of what you sell. • Keep in mind that retail stores prepare months ahead for seasons and holidays. You’ll want to make sure your stock reflects upcoming seasons and not just the season you are in. No store is going to take winter hats in the spring. If you only sell winter items, be sure to approach new stores a couple months ahead of the cold so that they are in the right frame of mind. On the other hand, you don’t want to try selling winter hats in the middle of summer either. Try to find the right balance. • Who will be responsible for setting up displays and tagging your items? If you are responsible for either or both, you’ll want to make sure that that is reflected in your consignment rate. • Do they offer sales and, if so, who absorbs the discount? • Pay attention to trends. If a particular item is popular, consider learning how to make it if you don’t already. Certain colors are always in fashion. Make as many items in those colors as possible. • Be diverse. Sell more than one type, and price point, of items. I sell lots of different products. It helps ensure that all retailers will find something that they like. It also helps ensure that I will make more sales as I have many different price points. • Put everything in writing. Whether you write it out yourself and have the owner sign it or they provide you with their terms in writing, do NOT leave your items at a store before you have everything down with pen and paper or signed. I find it helpful to do a lot of my sales through the internet and email to keep a paper trail of everything ordered. • If a store falls behind on their payments to you, do not continue to bring them merchandise. Tell them you are not able to send any new items until their prior sales have been paid. • I’ve said it before and I’ll say it again. ALWAYS be honest with your vendors. Don’t tell them you are offering them exclusivity and then sell in another store in the same area. • Unless you have a contract in place, stores can stop selling your items at any time. You can also stop selling in a particular store for any reason. If you find a store willing to pay you higher rates or a store that has better traffic offers to take in your items, you can simply tell the other retailer that you have found better terms and will not be able to sell to them any longer. They may even match or beat the other store’s terms if your items sell well for them. Be sure not to burn any bridges. Be professional, honest, and courteous. Retailers often share insider secrets with each other. If you are less than honest with a store owner or are not professional towards them, word will get out and no one will want to work with you. • Return Policy- All of my items can be returned up to 30 days after the specific holiday they were for (ie Bunny hats for Easter) and/or no more than 6 months after the item was brought to them. I do not allow stores to return merchandise that was put on consignment more than 6 months ago. This gives the store plenty of time for the season and I am not stuck with out of date or style items. • Theft and Destruction- If I leave an item at a store, I have them sign a contract stating that they are responsible for either the wholesale value of the item (your percentage of the fee they will be selling your item for) or the item returned in new condition. This ensures that I will not lose any out of pocket expenses. • Commission- Typical commission rates are anywhere between 30/70 (30% to seller and 70% to store), 40/60, 50/50 or 60/40. When I first started, the lowest I went was 40/60. After time, experience and learning curve, I decided I would not accept less than 50/50. If I sell exclusively in a shop (terms decided by both parties), I demand 60/40. The reason being that, if I cannot sell anywhere else within a certain distance (usually within 20-30 square miles), I must make more in commission. I can afford to make less if I sell in more shops. • Ordering- I request 30 days for most orders. Typically orders are between 10-20 units. I have had stores ask for quicker turnaround times and I take every case into consideration. I am not going to burn myself out to create 20 hats in two weeks. I have done it before, but I won’t be doing that anymore. • End of partnership- Unless otherwise stated, either party can pull out of the arrangement with 30 days written notice. Remember selling is a two way street. While a store owner might not want to provide valuable retail space for your items if he/she isn’t confident they are going to sell, you also don’t want to put your items in a shop that is going to hide them in the back of the store. Ask your own questions. You’ll want to know how their sales are, do they get a lot of traffic. Where will they be placing your items? Will they have their own space or be jumbled in with other like items? Be prepared, do your homework and have confidence in your work. With these tools you can take on the retail world. Does selling retail boutiques seem less scary now? Give it a try, who knows what may come of it! 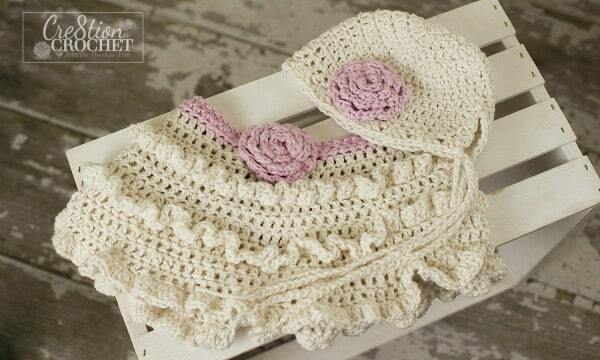 I hope you enjoyed the article Selling your Handcrafted Crocheted Items in Retail Stores and Boutiques.